tokays in particular are all very easy to get hold of and cheap at that, they really are a very common animal in the exotic pet trade, so I'm sure you wont have any trouble finding them. I think if the costs get to high for feeding i will just breed feeder insects like crickets. Have you tried this? How is breeding? Is it difficult? How do you do it? its that simple... incubation can be done either in an aincubator or a lot of people have success incuabting the eggs in the enclosure... the parentsd usually become quite protective of both the eggs and the hatchlings, you shouldnt have any problem with the parents damaging or eating them. rearing should be done seperately though due to the food size required by the babies. I have 2.6 tokays and like gecko-kus said you put them together and you got eggs! i have 8 eggs incubating right now i am keeping my fingers crossed and hoping they hatch! 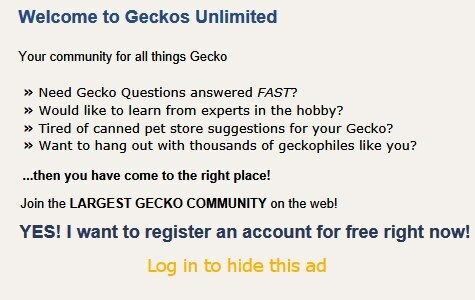 Tokay Geckos and other captive bred geckos. Tokays are very easy to get and cheap. They are also pretty simple to care for and make great pets if your looking for something to look at rather then handle. Tokays are awesome and remain one of my all time favorites . Im new here and have a few questions..
A lot of questions about AFT.